We do a variety of things to attract birds to our property with special feeders for goldfinches, orioles, woodpeckers, and a general seed feeder. We also like to make sure birds have places to live or at least perch. 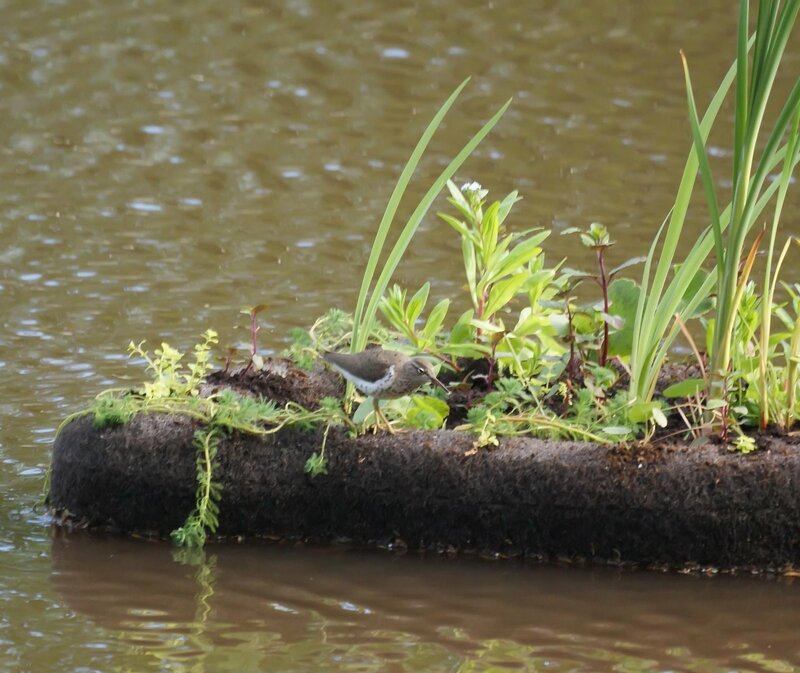 Our latest creation is an Islandscapes floating island planter. It is a small planter about 2x3 feet with a few aquatic plants. 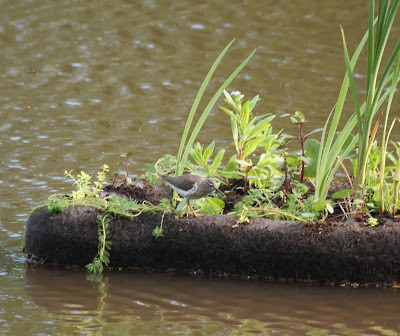 We were surprised to see a spotted sandpiper on it the first day. Here's a photo of Sandy, the spotted sandpiper. We actually don't know if it's a male or female, so Sandy works for both. At times there have been two sandpipers on the island at one time, and one evening it looked like they were settling down to spend the night. We love going to small, private islands ourselves, so we're glad we enticed these little sandpipers to enjoy the little private island we created. We never guessed they would be our first visitors. We'll be keeping our eyes on this to see if turtles, cormorants, ducks or kingfishers are also attracted to it.